This experience had a tremendous influence on Wilson. After a seven day stay in the hospital he never drank again for the remainder of his life. This experience, amplified more by Wilson’s subsequent reading of William James’ The Varieties of Religious Experience where James describes at length these types of ecstatic mystical experiences, seems to have become a core influence in the formation and teachings of Alcoholics Anonymous (AA). And then came the miracle, the great central experience of my whole life. The room instantly lit up, lit up, in a blinding glare of white, white light. I was seized by an ecstasy such as I had never known. It seemed to me that I then stood on a mountain top, where a great clean wind was blowing. I thought to myself, but this is not air, this is spirit. This is the God of the preachers! How long I remained in this state, I just cannot say. And again, I have no words to describe what it is like. At length, however, I found myself on the bed, but now I was in a new world, a world in which everything was right, despite the wrongs of the world I had been living in. I felt myself filled with the consciousness of the present, of spirit, of God. A great peace stole over me, and there I lay, and reveled, in this new and loving consciousness. Whenever an angel appears, what is the first reaction? People are scared to death, sore afraid, whether it be the apostles on the Mount of Transfiguration, the shepherds in the field, Mary in her room, or Zacharias in the temple. When someone comes from that other world, people are scared stiff, so the first thing the angel has to say is, “Don’t be afraid. I bring good news, not bad news.” It is culture shock. If the Lord were to come here, what would we ask? We would ask the rocks to cover us–anything but such a visit. It is not hell that we are afraid of–we can take plenty of that–but the thought of heaven, the thought of joy, that simply frightens us. The scriptures use the strongest possible language whenever they describe a person’s reaction: “sore afraid”; still the translation is weak. The original means that they were scared to the point of paralysis. When the angel reassures them, they feel all right again. If you would like to submit a “First Vision” account, either personal or found, for inclusion on this website, please click here. Thanks again to Jason, for reminding me of this one. Next postWhat are we to make of these “First Vision” accounts? Just a short note to tell you that I am delighted and surprised to see many of my own ideas about “First Visions” laid out in such a detailed and succinct way. 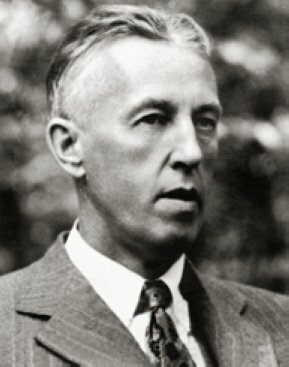 I have always felt that my FV experience at age 20 was similar to JS, and because mine proceeded out of suffering, much like I would later learn about Bill Wilson – as a recovered alcoholic inside the program of Alcoholics Anonymous – I was even more struck by the idea that; perhaps there were more such experiences right under my nose. To add to your list of similarities, remember that Joseph told his father about the vision, much like Bill Wilson told Dr. Silkworth, and BOTH recipients of the news declared it to be of divine origin. And much the way JS had the feeling that his experince would be shared. so too did Bill Wilson react after his Awakening. Bill had the feeling that the “drink problem was removed” and then he considered: “how many other alcoholics are there out there that need this?” His thoughts seem to have been, “If God did this for me, He would do it for anyone who desired it. A final, and more tenuous connection is, of course, the Book that always seems to follow these “satori”. Although “100 Alcoholics” are credited with the writing and publication of “Alcoholics Anonymous” – the text from which the fellowship got its name – Bill wrote nearly all of it himself. He recounts that in writing the manuscript of the “Big Book”, as it is known, as well as the later “12 Steps and 12 Traditions”, his pen seemed to flow across the paper as if guided by the unseen hand of God.